One of the many draws of the Outer Banks is the myriad of outdoor adventures that await. The lure of sandy beaches, salty water, and the perfect amount of wind for water sports draws families to the region year after year. Outer Banks kiteboarding is an exciting way to experience the great outdoors! Bask under the Carolina sun, feel the breeze blowing your hair back, and admire the views of the water as you fly over waves. It’s the perfect opportunity for spending quality time with your family. Whether you’re a newbie or an expert kiteboarder, OBX offers a variety of lessons, rentals, and prime locations for everyone to partake in this water sport! 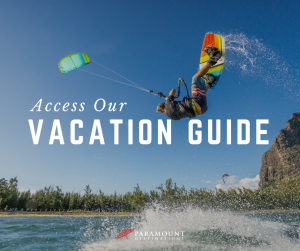 For more suggestions on adventurous attractions such as kiteboarding, kayaking, and surfing, access our Vacation Guide! Get your blood pumping when you try out kiteboarding with Kitty Hawk Kites! They offer lessons, camps, and packages. They even have a kiteboarding resort for those looking for a fully immersive experience. Great for all ages and all levels of experience, the variety of options allows for a customizable adventure! REAL Watersports offers a wide range of private and group lessons as well as a few kiteboarding camps. Whichever type of lesson you opt for, you’ll be paired with a coach who will give you plenty of one-on-one time. You’ll be out on the water soaring over waves in no time. Whether you’re a beginner or an advanced kiteboarder, the highly skilled staff can provide the right lessons to suit your needs! You can rent kiteboarding equipment at either of the aforementioned businesses that provide lessons! 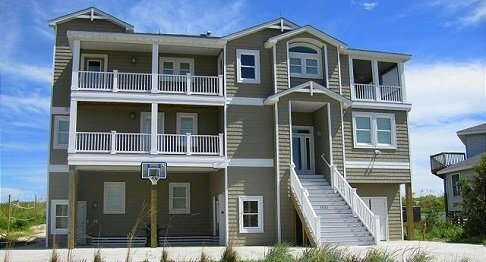 REAL Watersports is further down the Outer Banks in Kinnakeet. Kitty Hawk Kites boasts multiple locations all the way from Corolla down to Cape Hatteras National Seashore. You’ll also find gear for other watersport ventures such as parasailing and hang gliding at these shops. 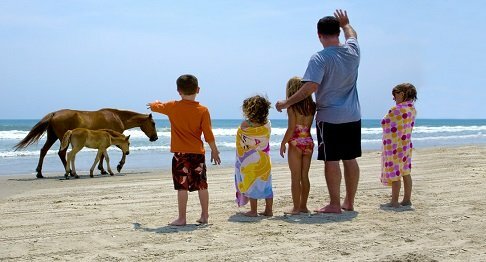 So many outdoor adventures await you in the Outer Banks! Whether you’re hoping to stay close to your vacation home or willing to venture down the Outer Banks to Cape Hatteras National Seashore, you’ll find some of the best spots for kiteboarding in NC. Consider the following beaches and sounds for your next kiteboarding escapade! Appeal to your adventurous side with exciting outdoor adventures such as surfing, wakeboarding, and kiteboarding on the Outer Banks! 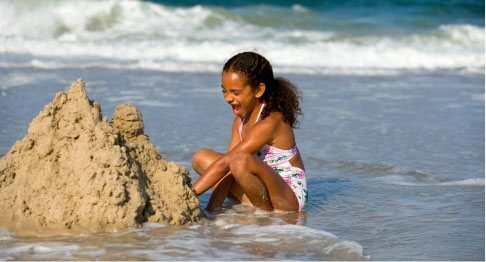 Families will enjoy the additional kid-friendly activities such as visiting the Corolla Adventure Park or the Outer Banks Water Park. After a busy day embarking on various escapades, turn in for the night at one of our beautiful beach-front properties. 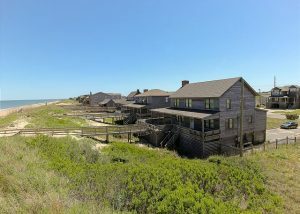 Memory Lane, located in Nags Head, boasts private beach access, 4 bedrooms, ocean views, and a wrap-around porch for your viewing pleasure. You’ll be near all the best restaurants and other exciting things to do! OBX beckons. What are you waiting for?